Cosmetic lenses "can be good for some people"
There are several valid reasons why people may choose to wear cosmetic contact lenses, it has been pointed. Eyecare Trust chairman Dharmesh Patel said that celebrities such as Lady Gaga have made the products more popular but warned people to use the products in a safe way. "Cosmetic contacts aren"t solely fashion or novelty items, many people who wear prescription contacts also choose to wear lenses that enhance or alter their natural eye colour," he continued. Mr Patel also said that people who play sports such as golf may use contact lenses that are tinted, as those with a slight grey/green colouration can help to improve their vision when in bright light. However, the expert noted that cosmetic contact lenses are still governed by the Opticians Act and said that people should to obtain them from an eyecare professional if they are to be safe. 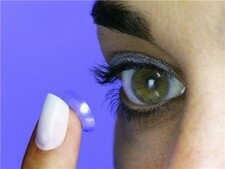 In a related article, Jack Carter, owner of Green Valley firm Crystal Reflections, told the Green Valley News that many people believe their life has been changed for the better by the safe use of cosmetic and coloured contact lenses.